In the same game, when you left I went scout and got 4 dominations as well. *shrugs* Didn't screen shot it though. 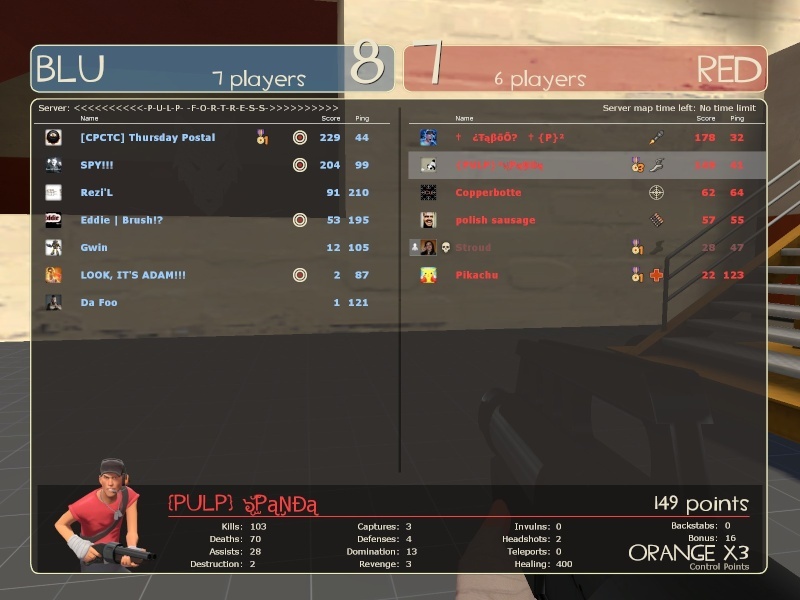 Did better when I was soldier where I nearly dominated the whole team.